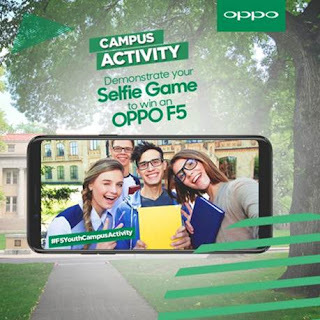 Lahore: OPPO, the selfie expert and leader, held a campus activity for youth at Lahore’s renowned University of Central Punjab. The main objective of the activity was to engage with young students, which is OPPO’s primary target market. The activation sought to create an interactive experience with students at the campus, connecting with them through various activities and games. Students were taken through a customer journey and were given a chance to explore OPPO’s F5 model phones available at the site. With more than 10,000 students enrolled at the University of Central Punjab, the event promoted OPPO not only as a top smartphone brand but also as an employer via a recruitment desk that was also set up at the event. Team OPPO was present at the recruitment desk and students could register and submit their resumes to get hired for new roles at OPPO. The entire activity was powered by the hashtags #F5YouthCampusActivity and #OPPOF5Youth and through a selfie contest one lucky customer was awarded the OPPO F5 Youth. OPPO F5 youth truly caters to the lifestyle of young Pakistanis. It doesn’t only provide cutting edge camera features, but its speedy operation and stylish metal body makes it stand out among others. The F5 youth is the first smartphone with FHD + full screen display model in its price segment here in Pakistan and features the ground-breaking A.I technology to personalize beautification for subjects on a selfie image. As the well-known Selfie Expert and leader, OPPO is stepping forward and has upgraded the built-in Beautification technology with the smart artificial intelligence and optimizations.